La Verne, CA – Feb. 4, 2017 - Pet supplies exceeded $14 Billion in 2016. One gift industry supplier is launching a niche product line with their unique pet keepsake software designed to create personalized pet gifts, keepsakes, and memorial tributes. Personal Touch Products, announced the release of “Pets on Art” software that can be leveraged by retailers to create unique pet keepsakes for their customers in a matter of minutes. Pet product retailers and service providers, including veterinarians and pet groomers, can add Pets on Art products to their existing offerings. Business start-ups can tap into the ever-growing pet product market by creating unique pet photo gifts, keepsakes, and tributes for dog, cat, and horse-loving customers. 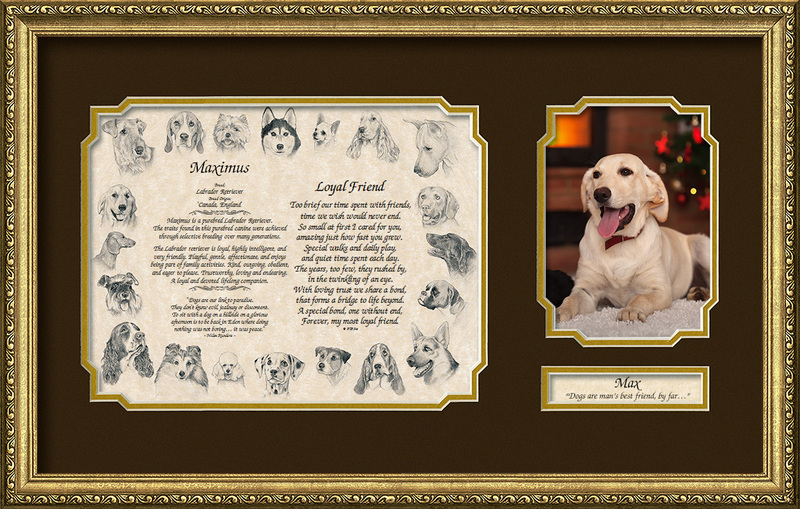 Pets on Art is designed to create custom keepsakes that include a beautiful art background, pet name, and a variety of optional elements such as breed characteristics, clever pet quotations, pet poems, sentiments, and a favorite photo. Each personalized print-out can be created in a few minutes following a simple four-step process. Everyone who has ever enjoyed a cherished family pet understands that losing an animal companion is never easy. Using Pets on Art software, retailers can create variety of pet gifts and keepsakes, including personalized pet memorial tributes that will become family treasures. Each custom print-out can be sold as-is, combined with a mat, or framed, providing the end customer with a range of options at different price points. Pets on Art software is offered exclusively to retailers and pet service providers as part of a kit that includes ample supplies for the retailer to earn back more than double the initial investment at MSRP. Established in 1989, Personal Touch Products, Inc. is a premier wholesale provider of personalized gift software and specialty supplies designed to create a variety personalized gifts and framed keepsakes. The company aims to provide retail businesses with their proprietary software and supplies that will allow them to meet the vast demand for personalized gifts in the retail marketplace.